Disclosure: This #SundaySupper post is sponsored by American Family Insurance. All opinions are my own. Growing up, my family rarely ever ate sweets. Candy, chocolate or cake were for special occasions such as birthdays and holidays. Every day after dinner desserts during my childhood consisted of nature’s candy of fresh cut watermelon or some type of fruit salad. As for my Scottish husband, the desserts in his home were the typical sweets you may think of such as chocolates and cakes prepared from scratch by his mum. Twenty years together, my husband has ruined me for sweets and spoiled my children. After dinner, our kids expect (Dare I say even demand.) dessert as a reward for finishing their supper. Yes, sadly I have succumbed to bribing my children with dessert for cleaning their plates. However, if I have to bribe reward my children with pudding (British for dessert), then at least I’ll attempt to make it a healthy dessert such as my Blueberry Quinoa Cobbler. Truthfully, any cobbler makes the perfect summertime dessert. Fortunately in Florida, we can find blueberries in the supermarket almost year round and reasonably priced, too. So, why wait for the summer to indulge in this healthy cobbler? The beauty of this gluten-free cobbler is that it is rich in fiber, antioxidants, healing properties and protein which are so essential for active and fit families. Serve it a small scoop of frozen yogurt for calcium and an extra helping of protein, too. Healthy, gluten free cobbler full of fiber, protein and antioxidants made with fresh blueberries, maple syrup and quinoa. Preheat oven to 350 degrees F. Grease a 9x11 baking dish. Rinse well and prepare 1 cup of quinoa according to directions on package. Once quinoa has expanded to two cups, remove from heat and allow quinoa to cool. Stir in cinnamon, butter, salt and brown sugar. In a large bowl, combine blueberries, maple syrup and juice of one lemon. Pour into baking dish. Spoon quinoa onto blueberries and spread gently to form a crust over the blueberries. Bake in oven for 45-55 minutes or until golden brown. Place on cooling rack and allow cobbler to set before serving. Serve with low fat frozen vanilla yogurt or organic vanilla ice cream. 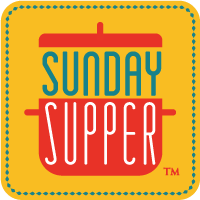 I am so honored to serve as this week’s #SundaySupper host sponsored by American Family Insurance and on my birthday too! Much like my Blueberry Quinoa Cobbler, it’s such a treat to lead this incredible list of healthy recipes and encourage parents to choose dreams of fit, active lives with their children. For more great healthy #ChoseDreams recipes, follow AmFam’s Health and Fitness Board on Pinterest. You can learn more about American Family Insurance by visiting them on LinkedIn, YouTube, Google+, Twitter, Pinterest and Facebook. This entry was posted in #SundaySupper, family life, health, Life, recipe and tagged blueberry, dessert, gluten free, healthy, quinoa, recipe, Run DMT. And lucky me having a bag of quinoa in my pantry. Now to get some blueberries and I’m all set to make this tasty and healthy dessert. Quinoa in a cobbler — sounds fantastic! I can’t wait to try our your healthy dessert! New Jersey blueberries ARE in season now, so I have to make this! Quinoa in a cobbler – this is genius! WOW! What a magnificent cobbler! I love the quinoa topping…what a terrific idea, Denise! What a creative cobbler topping. Genius! This is such a fabulous idea! I love quinoa for breakfast! Can’t wait to try it! 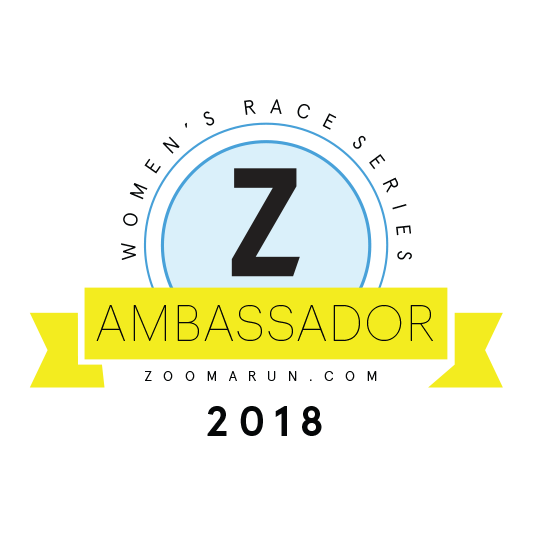 Thanks for hosting such an amazing event! 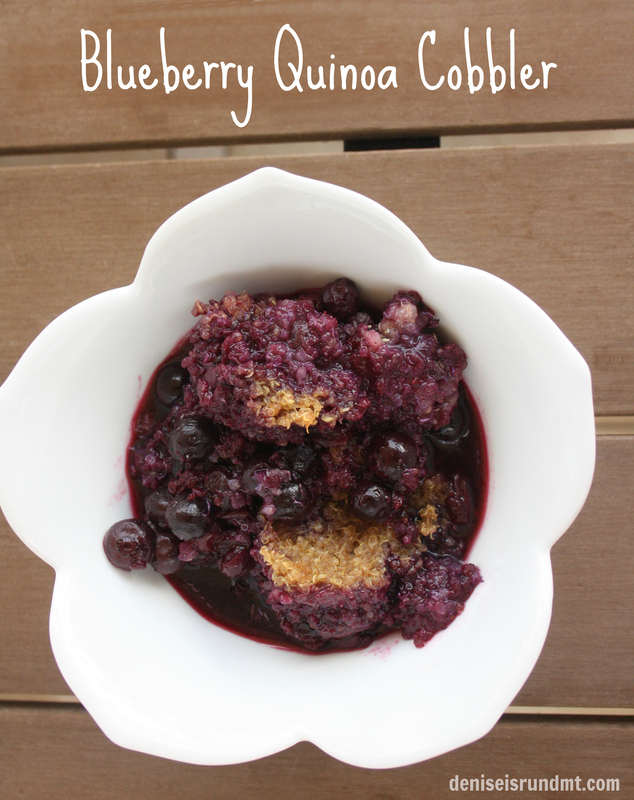 What a fun idea to use quinoa for the cobbler topping! I love it! What a creative recipe using quinoa! It looks absolutely delicious…can’t wait to try it! What a great way to bribe….errrr…reward your children! I doubt they can even tell it’s sneakily healthy. Love it! What a fantastic sounding dessert; love this recipe will have to make this for my family and will be substituting the butter with Earth Balance. Thank you so much for hosting! I love the idea of using quinoa for dessert. This looks simple but delicious. Thank you for hosting this week! Your quinoa looks incredible! I would love it for breakfast or dessert! It’s perfect! !